Pepper Money new Commercial Property Finance talk to us today. 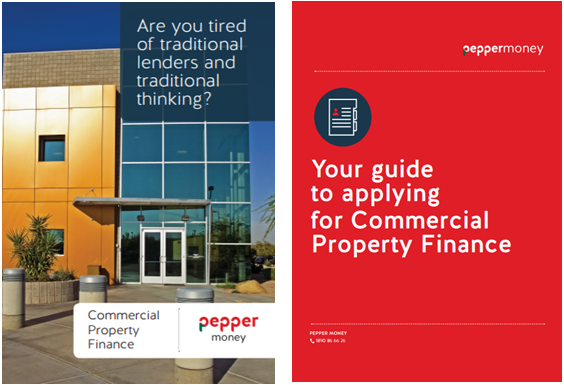 Pepper Money’s Commercial Property Finance is here to provide a genuine alternative to the status quo - focusing on progressive criteria, quick decisions and smooth execution. We recognise that the market for commercial property finance does not start in the millions. That’s why we offer a range of finance amounts from €250,000 through to a maximum loan size of €9,950,000. We may be able to help you secure finance even where your credit history is less than perfect. We will consider historic arrears,-Bankruptcies, Insolvencies and Examinerships. Speak to us today! With Pepper Money’s Commercial Property Finance there’s no hand-offs and no ‘small-ticket’ treatment. From underwriting to our team of in-house Chartered Surveyors, we have years of experience delivering finance solutions that work. We offer funding for Offices, Retail units, Shopping centres, Industrial units, Logistics units and multi-family residential units. Call us today or complete our online contact form below. We will talk you through your application over the phone or in person. Our Underwriting & Property team will assess your application. This can take 2-5 business days. If your application is successful, we will make contact to discuss the terms of the loan. 50% of the arrangement fee is now due. If final assessment is successful we will issue a formal Offer Letter. Once legal due diligence is complete and all outstanding conditions satisfied, your facility will be granted. Suburban shopping centre generating in excess of €600k rental income per annum with further asset management potential. Non – recourse loan facility of €4m + approved with an initial LTV of 70%. Initial loan term of 5 years provided at 6.5% pricing. The applicant required funding to reacquire the asset from a receiver. Approval and heads of terms were provided within one week which allowed the applicant to secure preferred bidder status at an early stage of the process. A loan to acquire a prime Dublin asset out of which the applicant operates a number of connected businesses. Funding of €1.4m provided which represented 90% of the funding requirement, 5 year initial loan term provided at 6.25%. Approval granted within days and drawdown completed within 6 weeks. This enabled the applicant to avail of a reduced price available for a limited time to acquire the property off market. Portfolio comprised of residential, commercial and retail properties in Wicklow Town and Arklow, Co. Wicklow. Funding provided to part refinance and allow applicant to acquire additional assets within the portfolio. Loan of €2.1m provided over 7 years at 7%, initial LTV of 65%. Structure involved one property company acquiring assets held within various SPV structures. Dublin City based licensed premises with two apartments overhead. Experienced operator in place with strong income from the business and additional rental income. Loan advanced to property company with repayment capacity sourced from operating company and rental income from apartments. 95% of funding required provided at 6.25% with an initial committed term of 5 years over a 25 year amortisation schedule. Drawdown completed within 8 weeks which enabled applicant to satisfy terms of settlement agreement with fund. Ian Wigglesworth is Head of Commercial Mortgages with responsibility for all Commercial Real Estate Servicing portfolios and Pepper Money's Commercial Lending platform. Prior to joining Pepper Money, Ian held senior commercial roles with Bank of Ireland and Irish Bank Resolution Corporation (IBRC). 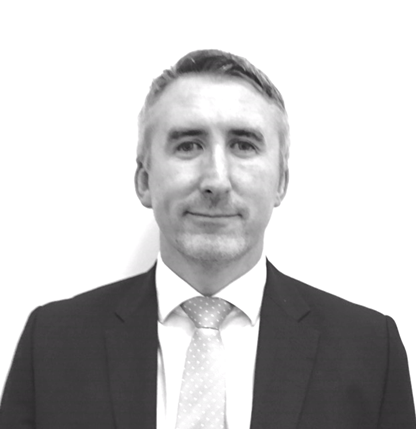 Ian is a Qualified Financial Advisor and holds a qualification in Insolvency from the Chartered Accountants of Ireland. 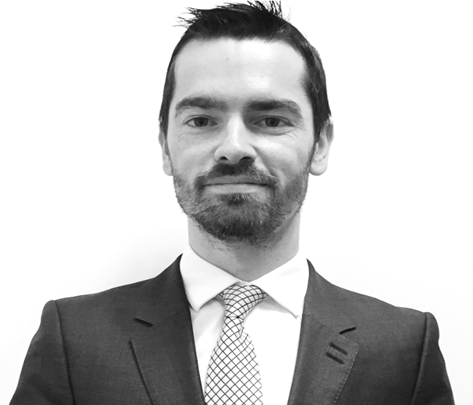 Cormac joined Pepper in 2014 and is responsible for underwriting all assets on Pepper Money's Commercial Lending Platform. He also oversees the management of property portfolios managed and serviced by Pepper in Ireland and the real estate due diligence for all NPL book trades. Cormac has extensive experience in the real estate industry and prior to joining Pepper Money held senior real estate roles in Ireland, Australia and Singapore. Peter has over 12 years’ experience in the financial services industry in the areas of Business Banking, Capital Markets, Property Finance, large Corporate and Property Restructuring and Asset Management. Peter is a Qualified Financial Advisor and holds a BA in Economics and Finance and a MSc in Finance and Capital Markets. 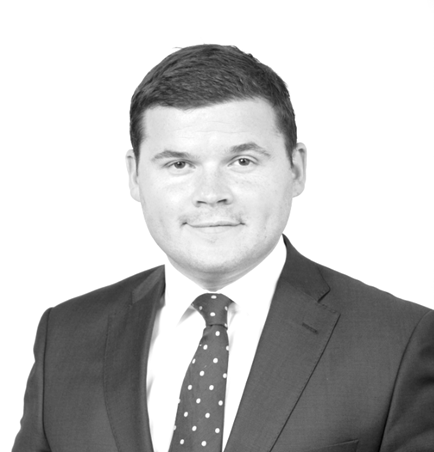 Michael has over 15 years’ experience in the financial services industry, predominantly in Property Finance, Restructuring and Asset Management. 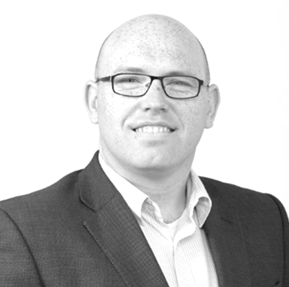 Michael is a Qualified Financial Advisor and holds a BSc in Retail & Finance and a Professional Diploma in SME Credit. 1. What is Pepper Money’s preferred funding locations? Dublin, Cork, Limerick and Galway Central Business District (CBD) / City Centres. We will also look at all major towns around Ireland. 2. What is the typical interest rate? Rates start at 5.5% + 3 month Euribor depending on a number of different factors to include but not limited to LTV, location, lease terms and deal structure. 3. What is the minimum and maximum loan size? We recognise that the market for Commercial property finance does not just start in the millions. That’s why we offer a range of finance amounts from €250,000 through to a maximum loan size of €7,500,000. 4. What are the other fees associated with the Loan? 5. What terms do we offer? We offer terms of up to 7 years. 6. What if I have previous credit issues? We may be able to help you secure finance even where your credit history is less than prefect. We’ll consider historic arrears, Bankruptcies, Insolvencies and judgments. 7. Can I maximise my cash flow? We can offer cashflow terms for repayments of up to 25 years, enhancing affordability. Make an enquiry today and a Lending Specialist will contact you to chat about your options.